Seals and protects against the damage caused by hard water, mineral deposits, wine, food, makeup, hair spray and more. 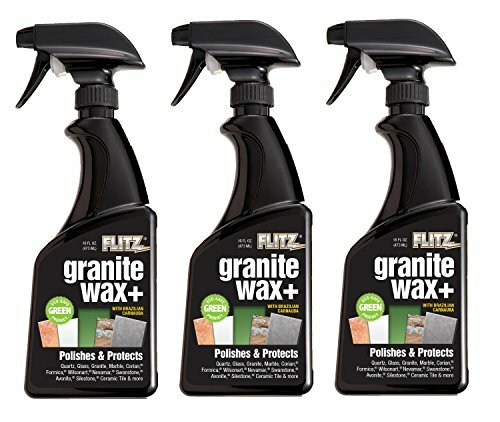 Use on: Plexiglas, acrylics, plastics, all metals, porcelain, enamel, living finishes and oil-rubbed bronze. This product will not leave a chalky, white residue. If you have any questions about this product by Flitz, contact us by completing and submitting the form below. If you are looking for a specif part number, please include it with your message.